Lovely 2 Bedroom/2.5 Bath, 1,593 sq/ft unit in the beautiful Grays Lane doorman building. With a wall of windows, the sun-lit Living Room opens to Dining Room with sliders to balcony overlooking the beautiful rooftop courtyard. The spacious Kitchen boasts an abundance of cabinets, large pantry, GE wall oven, built-in microwave, separate cooktop, GE dishwasher, decorative tiled backsplash, laundry closet with cabinets, large walk-in storage closet and Service Door to hallway. The Master Bedroom features a generous walk-in closet and Master Bathroom with double sink vanity, shower and linen closet. The 2nd bedroom with ensuite Bath, features 2 large closets, and beautiful built-ins including bookshelves, drawers, and desk. 24/7 Front Doorman Service! Assigned garage parking! 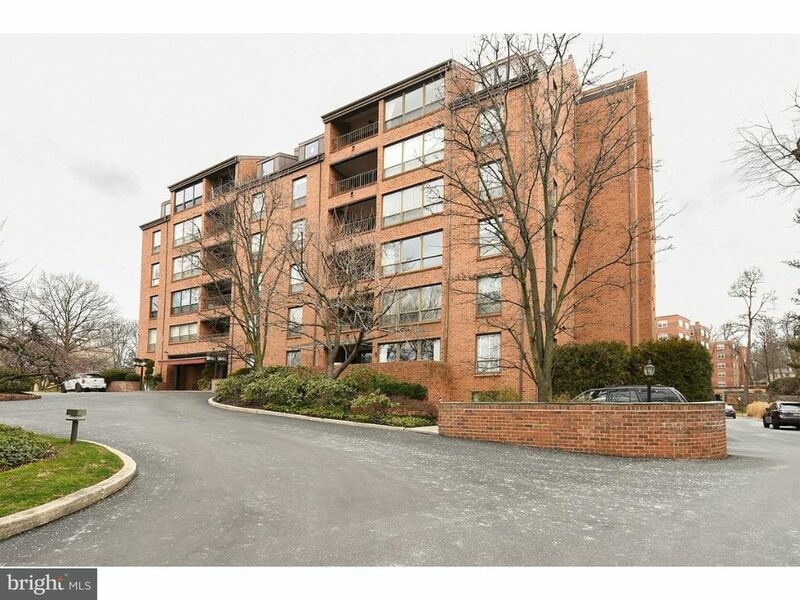 Fantastic location, walkable to Haverford train station and shopping, Suburban Square, Restaurants, and 20 min to Center City. Easy Living in a most convenient location. Move right in! Special Monthly Assessment of $177 until September 2018.